Not everyone experiences food stamps growing up. For a period of time, Travis Freeman did. This made him obsessed with understanding the powers of money and financial planning. After earning a B.S. 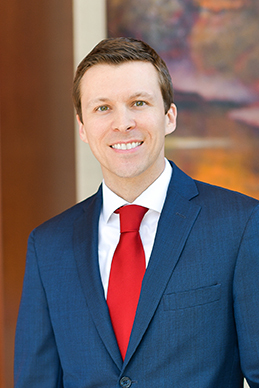 in Finance and Economics from Missouri State University, Travis started an independent financial planning practice to help people build and manage wealth. In 2018, Travis and his team merged with Moneta to gain access to new resources and solutions for his clients. He focuses on serving affluent business executives and their families. Travis is a frequent television guest on local KTVI Channel 2 and has been quoted in numerous publications, such as The Wall Street Journal, St. Louis Business Journal, St. Louis Magazine, Kansas City Business Journal, Plan Sponsor Magazine, Investment News and more. He also published a book titled, Make Your Money Work. Outside of work, Travis and his wife, Marina, enjoy traveling and spending time with their identical twin boys, Bruce and Dominic. Travis also enjoys golf and spending time outdoors, especially if sporting clays are involved.